extremely popular website: over 150,000 page views per month! 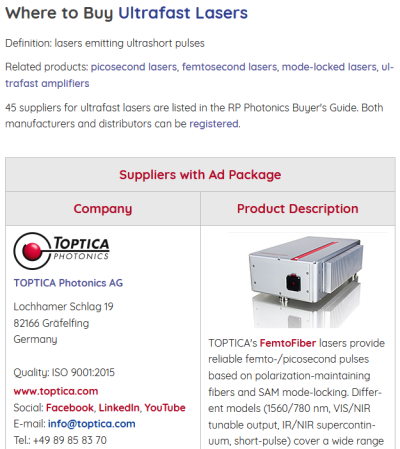 excellent opportunities for photonics marketing! 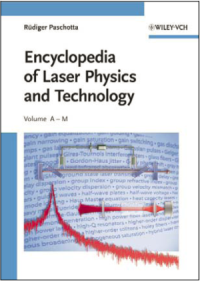 The author of this encyclopedia is Dr. Paschotta, the founder of RP Photonics. 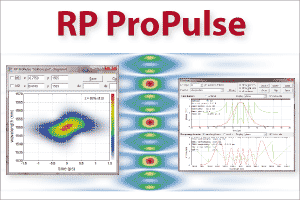 Find out about the attractive opportunities created by RP Photonics marketing solutions! 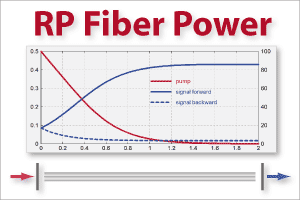 RP Fiber Power is a must-have for anyone seriously working with fiber devices! New V6: custom forms can be made for specific applications! Those you don't want to deal with the technical details just get custom forms made within the technical support. 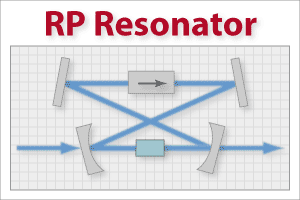 Due to the powerful script language, the flexibility of RP Resonator is unparalleled! 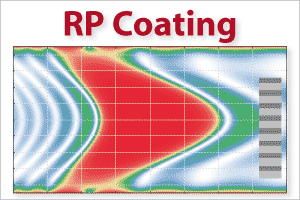 RP Coating is a tool even for most challenging cases! from a highly reputed expert: author of the RP Photonics Encyclopedia, of other books and over 100 scientific journal papers.